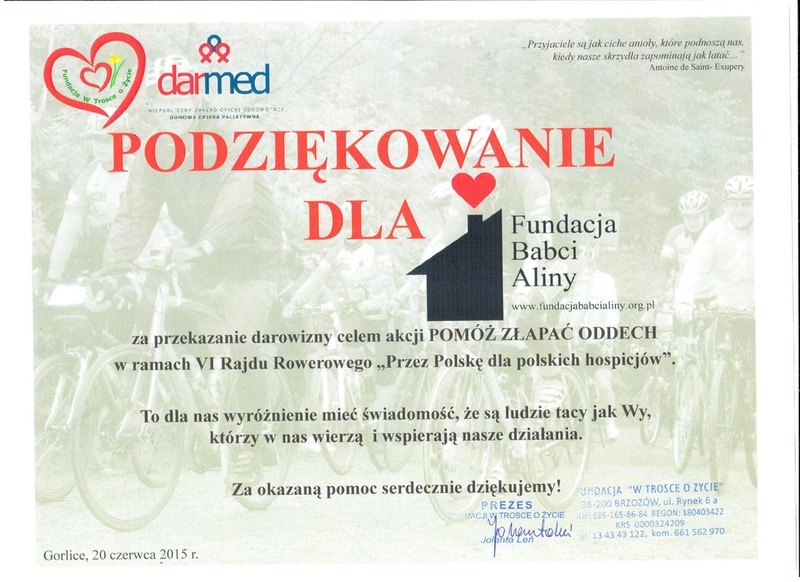 Thank you to the Alina Foundation and participants in Cycle Poland 2015 for making a donation to support the Help Us Breathe campaign. It's an honour to know that people like you exist, who believe in us and support our work. Sincere thanks for your help. The hospice provides domestic care for children and adults. It has around 60 patients under its care but that number is growing and with it the need for medical equipment and supplies, in particular dressings. “The equipment that we have received from you is invaluable. Domestic hospices are really small hospitals: apart from wonderful people, staff, volunteers, we need medical equipment. It’s thanks to you that we can care for more patients.